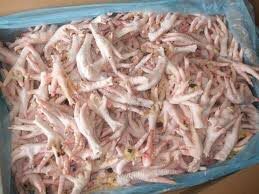 The company is involved in the exporting and supplying of Frozen Chicken Feet procured from the reliable sources. Frozen Chicken Feet is widely used in homes, restaurants and hotels for preparing different types of dishes. Frozen Chicken Feet that we offer is properly cleaned and hygienically processed before the freezing process. Moreover, we provide Frozen Chicken Feet in excellent packing of drugstore or butcher wrap.